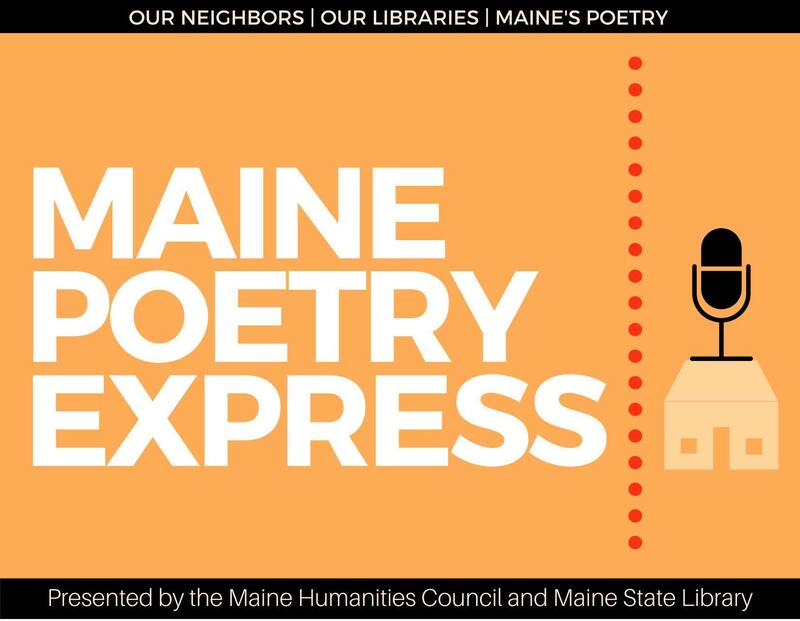 The Maine Poetry Express is coming to Dover-Foxcroft! 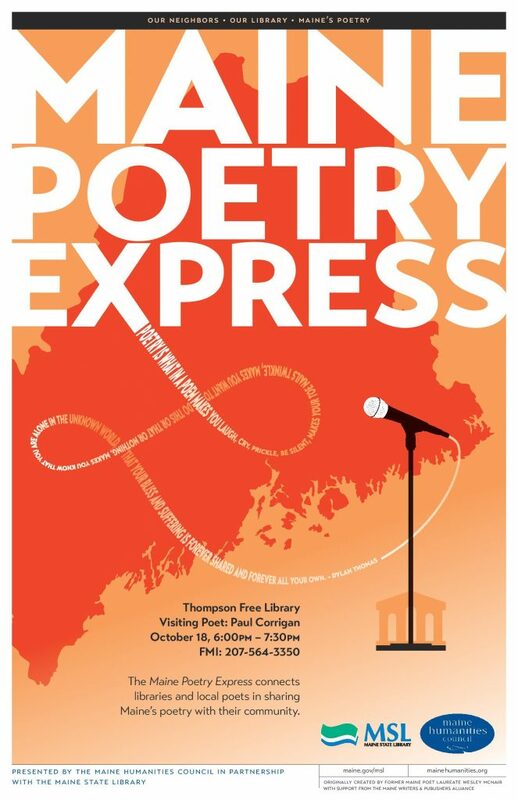 Join us at Thompson Free Library on Thursday, October 18 at 6:00 pm as Maine poet Paul Corrigan leads a free poetry reading with community members as part of POETRY EXPRESS, a statewide program of the Maine Humanities Council in partnership with Maine State Library. If you are interested in participating in a poetry performance workshop with Paul on Wednesday, October 17 at 5:00 pm, please contact the library!